Benjamin Banneker: One survivor, doing great! Bluemont: One survivor. Got chomped by deer, but still alive. Fort C.F. Smith: Could not find surviving trees, but it was not an ideal spot for chestnuts. 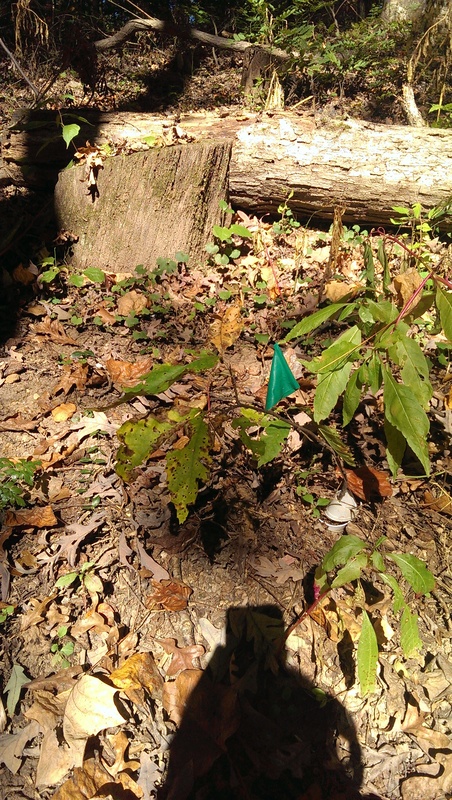 Did find one twig that appeared to be American Chestnut, without life on it. Fort Scott: Could not find any either. Also hard to investigate. Glencarlyn: Found one survivor. Doing well, but heavily foraged. Gives me some hope that some of the insects that coevolved with chestnuts are still around. More heavily foraged than anything around it. Gulf Branch: At least one survivor, doing well. Long Branch: Could not find any surviving trees. Hard to investigate the site. Route 50: Mowed over, despite putting in stakes. Figured this would happen, but it was worth a shot. 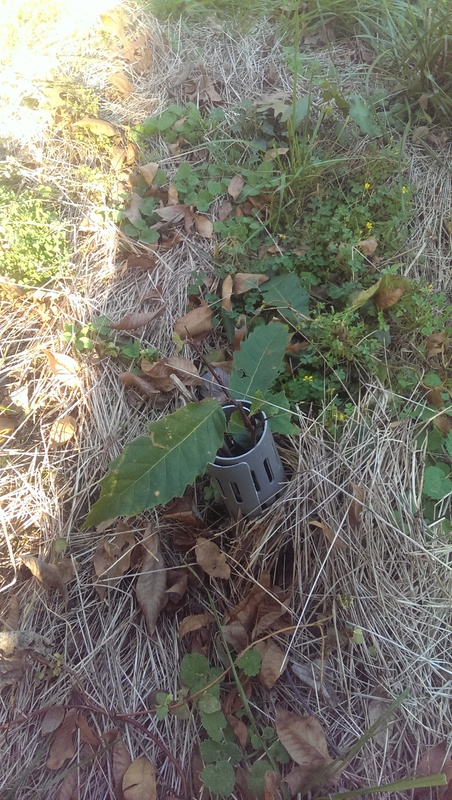 Verweij pointed out that the the discovery of 4 surviving trees out of 20 planted was “about as good/bad as I expected, to be honest.” His findings seem to validate the dispersed-planting strategy that was used back in 2013. 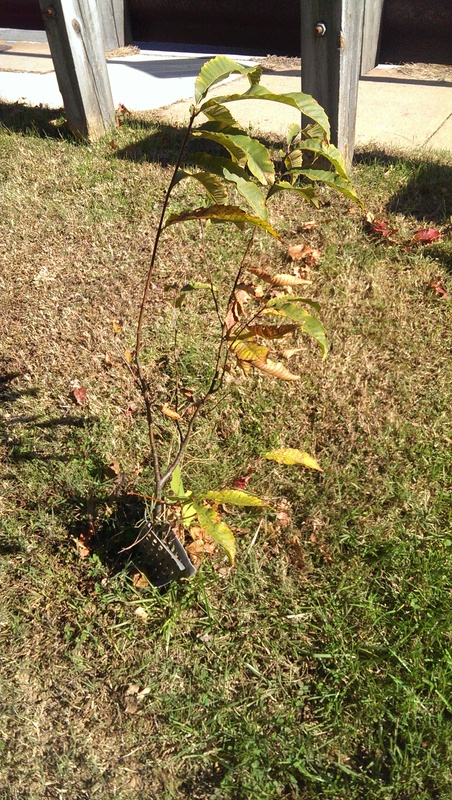 Dispersal, apparently, did create a variety of growing conditions that allowed some of the pioneering saplings to be successful. Fingers (leaves?) crossed for the survivors! 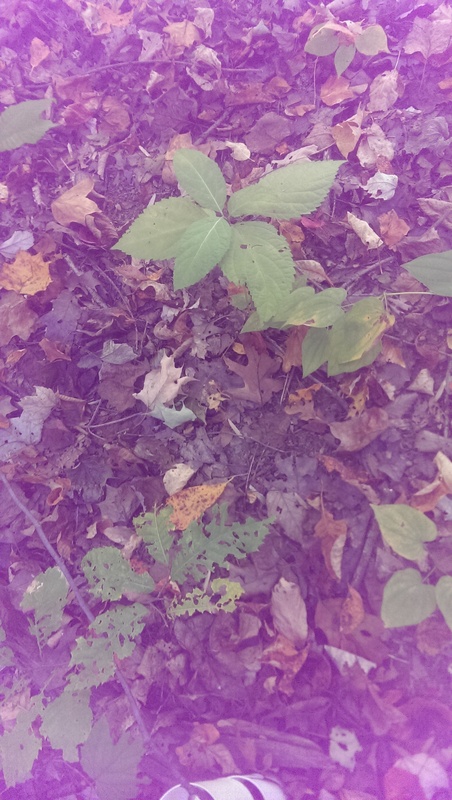 This entry was posted in Earth Sangha, Events, Gulf Branch Nature Center, Long Branch Nature Center, News by howellch. Bookmark the permalink.